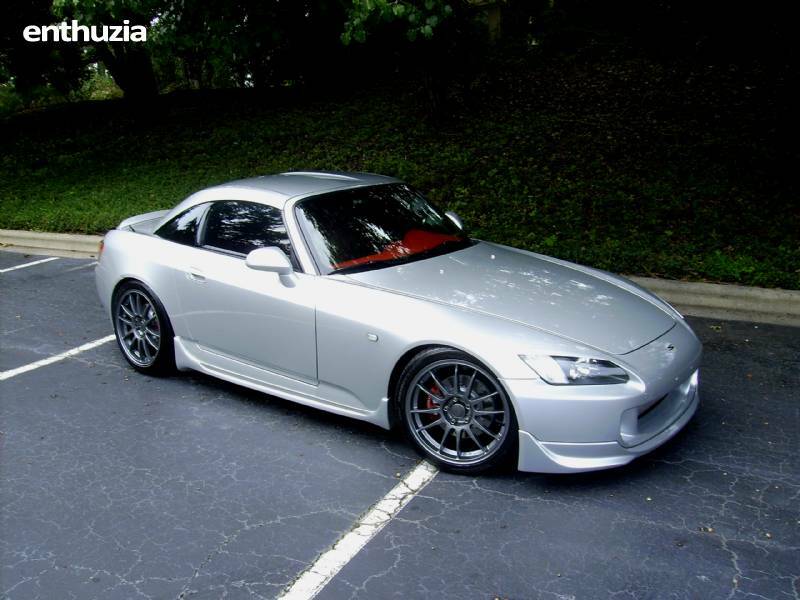 2002 Honda S2000 (AP1) 26k miles, Syntec faithful, GM Synchromesh, Honda Certified Service. Used as promo car for most of it’s life, driven in rain only a few times-Basically perfect. Most take off parts kept and will go with sale of car as well as magazine coverage and features, window sticker, all keys and documentation, dust cover and still in package second set of floor mats and 1:18 scale die cast model with all options in matching color scheme. Clean title free of lien holder. Entire package-$26,000 Car has been featured in several magazines, been a backdrop car in a movie, and in a few support videos. • 04 Front Fascia • 04 Underbody Chin Spoiler (APR urethane included also) • RLD functional Dual Brake Ducts and grills • Comptech Side Rockers • Mugen FRP Hardtop (OE toneau cover included) • APR Carbon Fiber rear Diffuser • Honda Optional Equipment Rear Deck Spoiler • Rick’s Signature Series Clear Headlamp Diffusers (OE amber included) • Rick’s Signature Series Vintage S2000 Badges • C-West Eyelids • LED lighting • JDM Side Markers (OE amber included) Fully polished donor hood and OE stock as well • Mad Tint, yo. None..this car is virtually perfect aside from a few very small chips in the front that a camera can not even pick up.